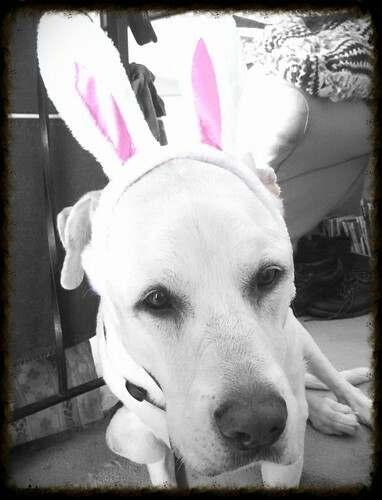 Cutest easter bunny ever! I hope you get some hard boiled eggs, that is one of my favorite easter snacks! Great photo, have a great Sunday. Love it!!! Enjoy your Sunday! Here comes Peter Cotton Tail...lol! Bunny Ears! The sure sign of spring! Some bunny looks very cute in their Easter ears! I have my camera & I've got bunny ears!! Look out girls, mama's ready to take some Easter photos!